The modern and contemporary art permanent collection galleries in MUSEUM 2 consist of three exhibitions under the overarching theme of Beyond Space. Each floor is respectively arranged around the topics of the expressionist tendency in modern art, investigations on the fundamental elements of art and expanded and hybrid art practices of recent. The clash and harmony between the local and the international is a common issue in non-Western countries including the ones in Asia. In these galleries, we eschewed regional or historical arrangement, and thematically exhibited Korean and international art in order to show the correspondence of influences. 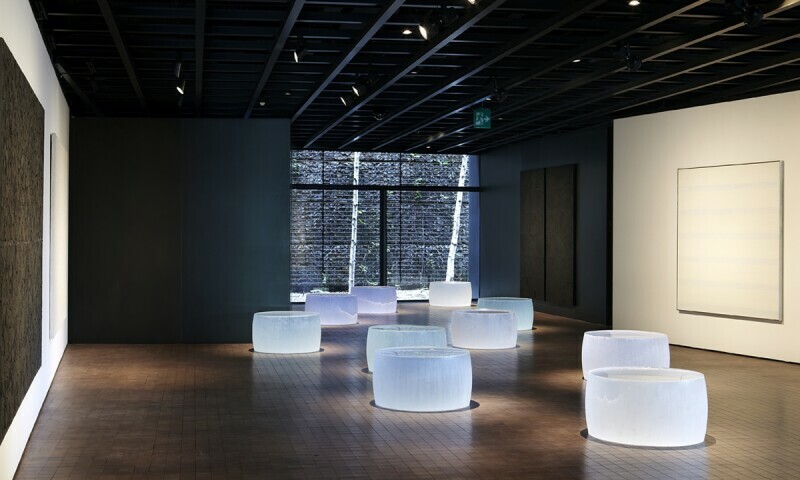 The modern and contemporary art collection at Leeum comprises leading works of Korean art from 1910 onwards, along with important examples of international art since 1945. The collection includes works by early modern Korean painters such as Lee Sang-beom and Byeon Kwan-sik who used traditional ink painting method, as well as Lee In-sung, Lee Joong-seop, Park Soo-keun and Chang Uc-chin, who sought to express universal Korean sentiments in Western-style painting methods. In addition, the collection has important works by Kim Whan-ki and Nam Jun Paik, who paved the way for the international recognition of Korean art, as well as other works by mid-career artists such as Lee Bul and Do Ho Suh. Leeum’s collection of international art focuses on works produced since 1945. The extensive collection ranges from the works of such pioneers in modern Western art such as Alberto Giacometti, Francis Bacon, Mark Rothko, Joseph Beuys, and Andy Warhol to established contemporary artists, including Damien Hirst, Jeff Koons, and Andreas Gursky. In addition, a growing number of works by non-Western artists within the collection reflects the dynamic and multi-centered nature of contemporary art.